Why did Abraham Lincoln say he would spend 6 hours sharpening the axe if he had 8 hours to chop down a tree? 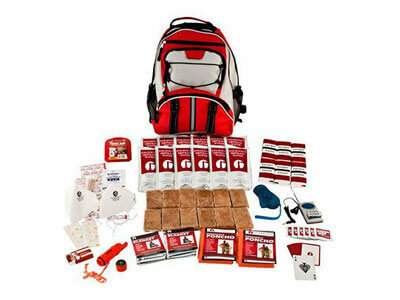 This emergency preparedness kits review will riddle you the nuances of channeling your inner prepper into a BOB worthy of the name. The plot that has you and your family darting through a concrete maze, with a full-scale cataclysm out to get you is just one of the plausible scenarios. Having a home-based shelter is all rainbows, but what if you’re denied that and end up out in the open, in the thick of things? That’s why experts recommend carrying your trusty BOB at all times or, at least, keeping it in close proximity. Just put it in your car when you drive to work and you’ll have your survival essentials handy whenever calamity comes a knockin’. These kits are made to support 2 people for 72 hours in terms of food and water. They also contain an assortment of essential tools required for a wide range of potentially hazardous circumstances. They’ll give you a much better fighting chance until you get your bearings and obtain a better grasp of the situation. Two backpacks are a necessity for an abundance of material presented in this kit. The colors are mostly black and gray with orange detailing, which shouldn’t attract unwanted attention. The MREs have a shelf life between 5 and 7 years. One of the biggest advantages and disadvantages of this pack is its sheer volume. Having your emergency survival kit spread across two backpacks can be convenient at times, but it’ll be such a pain in the neck much more often. The inside of the packs is too overwhelming to cover entirely, so we’ll just mention some of the fundamentals. 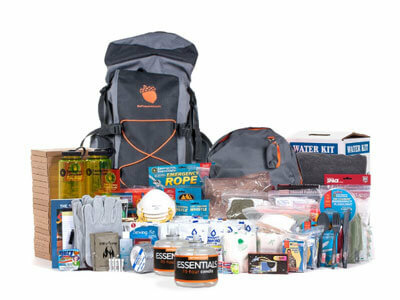 This kit features all the essentials you need to survive, from food and water to necessary survival tools. It’s the proud winner of the 2016 best-seller award. 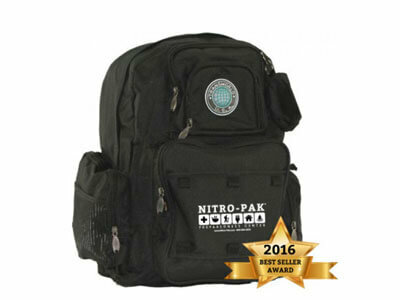 Nitro-Pack’s description of this emergency preparedness kit is basically a wall of text, but it provides much more relevant info than its predecessors in this emergency preparedness kits review. Following in the footsteps of previous picks, this BOB also features a mind-boggling amount of survival stuff. They’re all segmented into subgroups, though, which makes it easier to get ahold of the situation. It also includes a radio, 2 ponchos, light and firestarters, personal hygiene items and tools, among other items. This particular emergency preparedness kit was initially designed for the purposes of the coast guard. This speaks volumes about the attention invested and the end-result quality. It’s is a bright red and gray BOB with black detailing and several convenient pockets. All of the foods and tools are nylon-wrapped. Here are some of the supplies found inside: 12 food bars, amounting to 4800 kcal total, 24 securely sealed water pouches 4 oz, 20 water-purifying tablets (1 tablet = 1l); AM/FM radio with headphones and batteries, LED rechargeable flashlight and a 12-hour glow stick, loud 5-in-1 whistle, waterproof matches and a 30-hour candle, 2 hooded ponchos, a tent for two people, and 2 body warmers. As far as personal hygiene is concerned, you’ll have the following at your disposal: 2 x24 personal kits, 9 wet napkins, 2 toothbrushes and toothpastes, a soap and a shampoo/conditioner combo, dental floss, a comb and a razor/shaving cream, 4 maxi pads and bandages, and 2 washcloths. Tools encompass a 16-function knife, safety goggles, a dust-blocking mask, sewing kit, leather gloves, pencil and a notepad, a deck of cards, and an infectious waste bag. 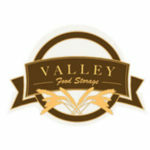 The shelf life for food and water is 5 years. The Guardian is a well-known sub-brand coming from Survival Frog. It’s a very inexpensive emergency preparedness kit, but its value-to-price ratio is sky-high. Its tightly packed interior brims with content. Among other things, you’ll get 12 food bars, with a total kcal value of 4800, 12 sealed water pouches (4 oz), and 20 water-purifying tablets, good for 20 liters of clean water. A standard communication and lighting packet applies here as well: AM/FM radio with headphones and batteries, LED rechargeable flashlight, recharged by squeezing, super loud 5-in-1 whistle, and waterproof matches. The warmth and temporary shelter categories contain the following: 2 sealed mylar blankets with 90% reflection coefficient and plastic ponchos for wet conditions. As you can see, the absence of tents is pretty apparent with this BOB. Speaking of absence, the hygiene department is represented solely by tissues for hand sanitizing and toilet purposes. Tools only encompass a breathing mask, but we still have our trusty deck of playing cards. This Guardian survival kit can’t really measure up to some of the kits on this list, but its “inadequacies” are also fairly reflected on the price. Failing to prepare is by all means preparing to fail. The best thing about sporting a prepper’s state of mind is the very real advantage you have over pretty much anybody else. While others twiddle their thumbs in the face of impending disaster, you’ll do the same, knowing you have all you and your family possibly need to survive anything the universe throws at you. Sometimes, depending on the calamity, all preparedness can do is offer you a fighting chance. This should be more than enough, however, for the most fortunate of outcomes. 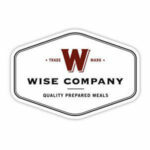 BOBs or survival kits or emergency preparedness kits, however you call them, are what we like to think of as “mobile preparedness.” True preppers have one in their house, in their place of business, and one in their car. The old rule says never to leave a single stone unturned, so we need to cover all our bases at once. What if you can’t get to your house or car in time? What if reaching your bug out shelter isn’t an option? This is where our idea of mobile preparedness really shines. 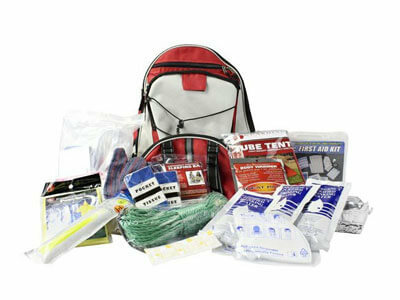 All of the listed products feature the bare essentials required for a fair battle against disasters. You have your food and water, tools, hygiene kits, and so on…so, just choose which kit works best for you. This way, you’ll truly be prepared for any kind of emergency.